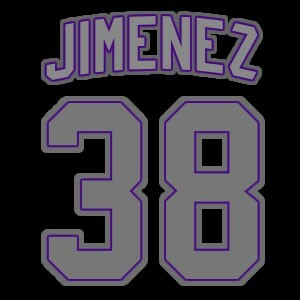 Happy 34th birthday to the Ubaldo Jimenéz, who tossed the only Colorado Rockies no-hitter in 2010. Jiménez, a current free agent who spent the past four seasons with the Orioles, no-hit the Atlanta Braves on Saturday, April 17, 2010, at Turner Field. Jiménez struck out seven and walked six. Jiménez in 2015 became the only pitcher I can remember (other than Babe Ruth in 1917 after one batter) being ejected while pitching a no-hitter. On April 17, 2015, home plate umpire Jordan Baker tossed Jiménez after he hit Boston Red Sox third baseman Pablo Sandoval on the back of the shoulder with a 90 mph fastball. Baker surmised that the fourth-inning pitch was retaliation for an incident earlier in the game. In the second inning, Sandoval slid hard into second baseman Jonathan Schoop to break up a double play, but neither the Orioles nor the Red Sox were issued warnings. Orioles manager Buck Showalter was not happy with Jiménez’s ejection. Also celebrating a no-no birthday is Jim Jay Hughes, who threw a no-hitter for the National League’s Baltimore Orioles on April 22, 1898 against the Boston Beaneaters. It was thrown on the same day that the Cincinnati Reds’ Ted Breitenstein tossed a no-no against the Pittsburgh Pirates at Cincinnati’s League Park — the first of just two same-day no-nos in major league history.